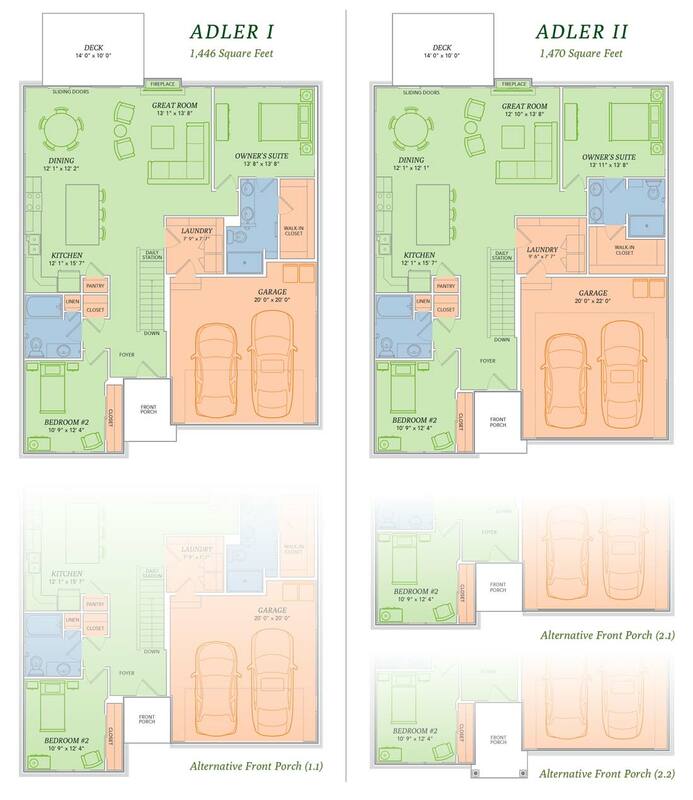 The Adler has all the amenities in one humble floorplan, because who said simplicity had to be boring? This remarkable ranch home features a welcoming foyer, an airy great room and kitchen, a spacious laundry room, and best of all, each bedroom has an adjacent bathroom. So host a dinner party or enjoy a cocktail on the deck with friends, and when the night is over you can rest easy with the Adler.